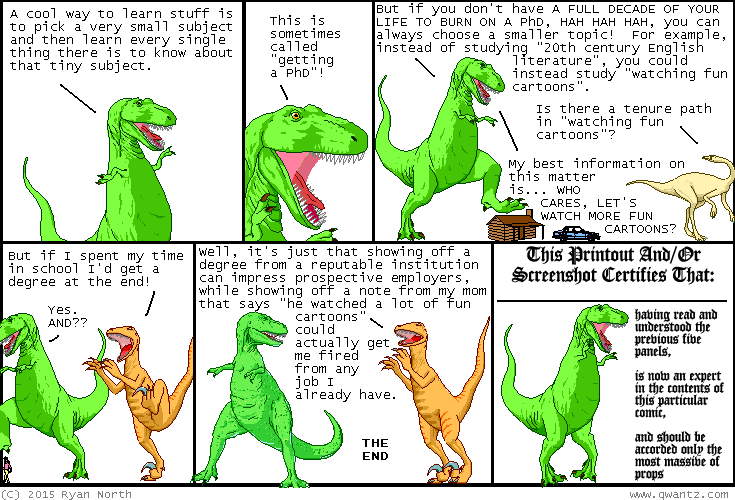 Dinosaur Comics - July 10th, 2015 - awesome fun times! –...but like, 100% of their paintings have weiners in 'em! July 10th, 2015: COMICS ON THE INTERNET, poppin' fresh for you! !